Welcome! 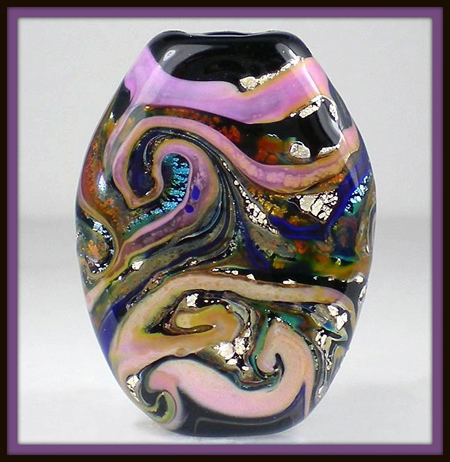 My name is Karen and I began my obsession with hot glass more than 20 years ago fusing glass jewelry. Now, I am hopelessly addicted to making lampwork beads. There's nothing more rewarding than creating a beautiful and unique piece of art from something as simple as a rod of glass! I am always happy to answer any questions you may have about my beads. All of my beads are made by me, Karen Milmine, with Moretti, Lauscha and other makers of glass. Beads are then annealed in a digitally controlled kiln for strength and durability. I make my beads with love and care in hopes that you will enjoy them as much as I enjoyed making them! All items come from a non-smoking, pet-friendly home!